Tours can be booked from Luang Namtha, there are many firms to book with so make sure you ask questions about which part of the park you'll visit, food, drink, sleeping, mosquito net etc. Be wary of the cheaper tours because we read many poor reviews from groups who weren't even taken into the national park, even though they had paid to. Prices range depend on how long you wish to tour for and with how many people, as a rough guide we paid 956,242 kip (£90) pp on a 6 person tour for 3 days, with the highest rated tour operator in town! Make sure you pack sunscreen, insect repellent, sun hat, warm clothes, swimwear, sandals and walking (or bamboo) poles for the muddy paths. No showers over the three days but you can wash in the rivers, bring a quick dry towel. Watch the highlights of our 3 day tour where we trekked, kayaked and frog munched our way through the Nam Ha national park in Laos. 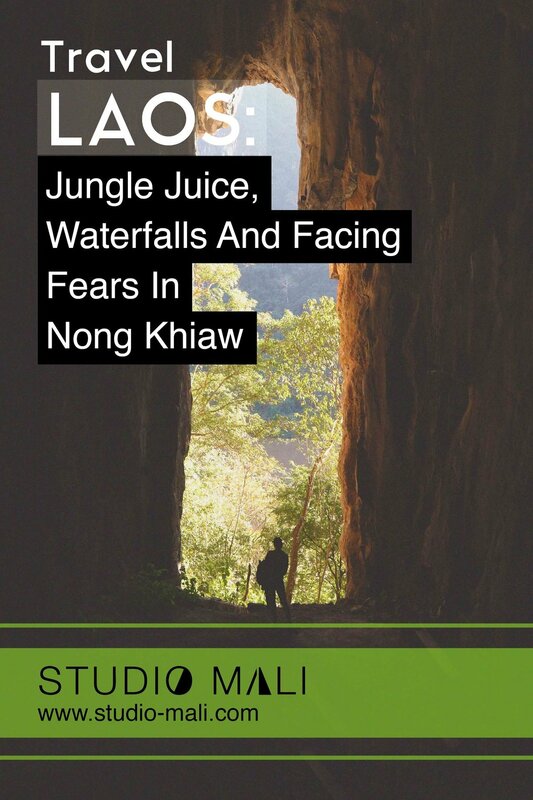 We had emailed the company Laos Forest Retreats based on their great reviews to discuss the different tours they offered and they sounded very organised. In contrast, one of their competitors took a tour group to the edge of the park, not even in it, and walked them in a circle with no views. So do some research before booking! We signed up for the next morning and luckily 4 others grabbed the bait too, which brought the price down considerably to around 956,242 kip (£90) pp for three days of trekking, kayaking, food, accommodation and a range of guides for different activities. Accommodation at Luang Namtha was cheap too, we were told 80,000 kip (£7.2) pp for double room but got another 2,000 kip off with no real haggling. Always ask if they can do a better deal. We hit the Luang Namtha night market for noodles and pancakes before resting up for the trek ahead. The Forest Retreat tour company beckoned us across for an eggy breakfast and coffees at 8am so we could chat with our fellow explorers. We had a solid crew with a Dutch contingent in Sebastian, Evelyn and Evie, and Australian Mark all of which were super friendly and wanted to vacate the busy cities of Laos too. Breakfast devoured, we hit the road for an hour before jumping out the tuk tuk at an army checkpoint, we think they were checking locals for poaching from the park. A small path off the road is our starting point and before us stands a huge lush jungle that is so green we could hardly see which way the path goes. It’s wet too, for the first few minutes we slip around on the muddy ground before adjusting. Everyone knows this will be quite an adventure! Jungles are incredible places. The Nam Ha national park has incredible eco systems with trees hijacking and killing other trees, snakes shedding their skins, frogs, stick insect, flying crickets, goats, monkeys, ducks, dogs, cats, the biggest spiders we’ve ever seen, leeches and oh so many chickens. For facebook sharing small animal lovers they might have found heaven with abundance of tiny piglets. Our guide told us scare stories of poisonous caterpillars that would leave you numbed for weeks if it touches you, wolf packs also roam in the park and you might be lucky enough to find huge snakes that only feed 4 times a year! We were never scared as long as Pengh our guide and Australian Mark were happy, nothing seemed to spook them. Although Mark did find the scary furry caterpillar on his towel on the last day, by this point he was as jungle savvy as Bear Grylls and hit it off with a bamboo stick! Our first day of trekking consisted of 5 slippery hours on an undulating path that sank deep into wet jungle clay and up into the arid mountains peaks. Although finding a view on the peaks with such an overgrown expanse of green was not so easy. The jungle has huge palm, banana and elephant leaves and long jungle vines that our guide could climb easily. The day passes in a sweaty montage and we reach the Khmu village of Ban Nalan where every cabin is made from bamboo, on stilts above the ground. In days long past, families kept livestock under their houses which made malaria far more of a menace. Now their animals are kept miles away as a precaution. It’s a simple existence here where families sit around fires and children run by with no shoes, playing with bamboo toys. A family sets up beds for us in their lodge and prepare dinner, whilst we bath in the freezing river that the village relies on. Fire is lit and beers are drunk before squeezing into a mosquito net for the night, the villagers were all asleep by 8pm as it’s unusually cold for the time of year. Old lady smoking tobacco by a fire. They say the smoke keeps the mozzies away. Here are some of the rules of the village. People get married at 16 by trying to find partners from theirs or other villages but sometimes they marry family. One of the villages are inhabited by the Khmu people, once married they still live with their parents until family gets too big. The man must provides for his wedding and look after his family financially, saving lots of money to invite as many as 2000 people to their special day. Children attend a tiny school where all ages are taught by just one teacher and the school is one of the biggest buildings in the village. All the folk wash themselves and their clothes in the river, it looks a bit like a herbal essences advert when the young women wash their hair together in the evenings. We try and spend some money in each village by buying some of their handicrafts, hand sewn bracelets and bags, not forgetting their warm beer Lao. An old chap with 3 inflatable kayaks turns up the next morning, he inflates them as we dine on noodle soup made by Pengh. The rapids we are about to tackle are quite fast, advice is given on the technique needed for some of the big turns. The strongest person should sit in the rear to direct the steering, luckily for Ali, Mark sits in the back in a pool of water and has a wet bum. We are warned about hitting the bamboo plants at the rivers edge as they hold families of spiders. As you can imagine our fellow travellers pass the bends with textbook ease but we speed directly into a spiders nest, apparently ignoring the warning 5 minutes before! We make a quick recovery turning the boat around into the downstream current. It looked like we had escaped until we notice the refugees! 20 spiders about the size of large coins! We grapple with ejecting the imposters while trying to chart a straight course, luckily the buggers don’t bite. Eventually we brush off the last one and we manage the rest of the day with no more disasters, visiting two ethnic villages on the way. Although our counterparts did face some danger, Sebastian, Evelyn, Evie and Australian Mark all got knocked out of their kayaks by hitting trees and rocks. The guides were laughing a lot at this. It should be noted just how good the jungle food was. At every meal time our guide would cut down huge banana leaves and spread them across the floor to create a natural table cloth. Our food was then poured onto the leaves where we would grab mouthfuls of freshly prepared food with our hands. These were some of the things we dined on over the 3 days: sticky rice, banana, morning glory, squash, courgette, chicken, stink bugs with chilli garlic and ginger, green beans, frogs, sour fruits, scrambled egg with tomato and parsley, fruit, noodle soup, fried egg and baguette. Check the photos. Our guide also spotted nuts and sour fruits that he found in jungle whilst trekking. You’ll need to be a bit open minded to enjoy the food on a trek like this. One of the frogs was full of frogspawn, which didn’t taste so good. Our guide with the kayaks waves us goodbye as he takes the river down to the last camp, we’ll meet him later. We would climb a mountain with the best view point of the tour. It was a sunny day and a sweaty climb but the view at the top was pretty special. A vista of jungle that stretched as far as we could see, we spend some time taking it in. Next it’s navigating the jungle down to the fisherman’s village where we will camp. It’s a secluded spot where frogs sing loudly all night. We have a dip in the river and enjoy a night around the fire that our Dutch friends started earlier. Everything in this camp is built from bamboo: cups, tables, seats, steaming apparatus. A piece is left on the fire which sounds like a shotgun when it explodes from the heat, we think we are being attacked by the Viet Cong when one blows! Day 3 of the tour is a simple but lengthy trek out of the Nam Ha Park to our tuk tuk driver. The walk could be broken down into three parts; a steep and slippery first climb, a short flat plateau and a mild climb at the end. The higher you get the drier it becomes and as result the climb is easier. The view at the top is not as clear as the previous days, and weather is generally poorer too, but being in the jungle is always interesting. Australian Mark knows lots about the different trees and explains how they grow extra vines to support their weight at higher altitudes, nature’s engineering is impressive. We run into the super poisonous caterpillars three times on the way down, one is at hand height on an easily grabbed branch. Luckily Pengh spots this and warns us, even he seems a bit concerned about it. We finish with a final bit of kayaking down some rapids to meet our driver and then 45 mins back to Luang Namtha. I wish we’d changed out of our wet swim trunks because we were freezing in the open windy tuk tuk. Our 3 days in the jungle will be remembered; great friends, amazing scenery and the jungle is, truly, massive! We booked with Forest Retreat Laos who were great, run by a really helpful Dutch chap called Sandor. We would definitely recommend paying a bit more for a well organised tour.